This family-friendly Fraiburgo hotel is within a 15-minute walk of Floresta Virgem, Casa do Turista, and Fraiburgo Cathedral. 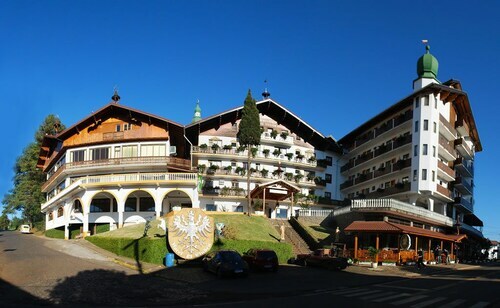 Situated in Fraiburgo, this hotel is within 1 mi (2 km) of Floresta Virgem, Casa do Turista, and Fraiburgo Cathedral. Situated in Fraiburgo, this hotel is within a 15-minute walk of Floresta Virgem, Casa do Turista, and Fraiburgo Cathedral. 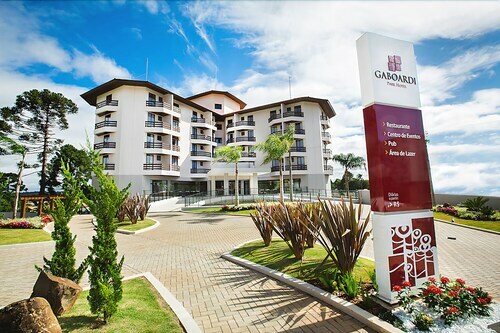 Located in Paraíso, this hotel is within a 15-minute walk of Cathedral of Saint Francis of Assisi, Contestado Museum, and Jose Rossi Adami Central Park. 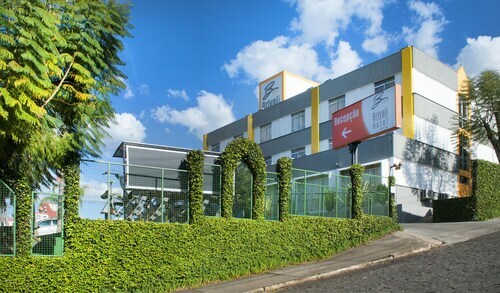 Located in São Cristóvão, this hotel is 3 mi (4.8 km) from Cathedral of Saint Francis of Assisi and within 6 mi (10 km) of Jose Rossi Adami Central Park and Contestado Museum. Located in DER, this hotel is within a 10-minute walk of Contestado Museum and Jose Rossi Adami Central Park. Cathedral of Saint Francis of Assisi is 0.7 mi (1.1 km) away. 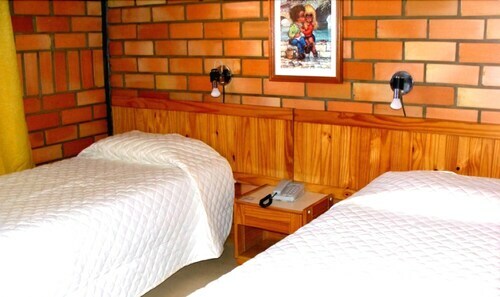 Set in Arroio Trinta, this family-friendly hotel is 31.2 mi (50.1 km) from Frei Bruno Monument and 31.2 mi (50.3 km) from Santa Catarina University of the West. 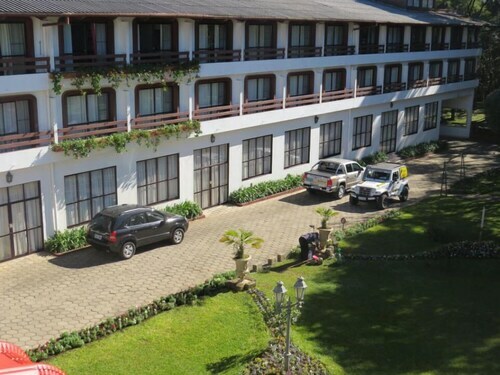 This family-friendly hotel is located in Curitibanos. 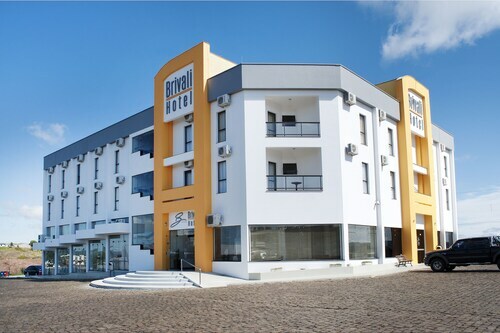 This hotel is in Treze Tilias. You're bound to have a great time at Casa do Turista. It is situated in Fraiburgo, a destination that might not be well-known to every traveler. It lies 800 miles (1,287 kilometer) from Brasilia, the nation's capital city. Even though there aren't any hotels or other accommodation options in the immediate vicinity, you should be able to find some within 60 miles (97 kilometers). After a fulfilling day, you'll be happy to sink back into a cozy chair at the Hotel 10 União da Vitória and Hotel Farol. Only a short distance away, Panificadora Degustare is an excellent place to enjoy a quick snack or a coffee. Stomach still rumbling? ZEZITOS RESTAURANTE is also nearby and offers a more serious dining experience. For all of those travelers that enjoy finishing off the day with a refreshing beer, wine or spirit just down the road, Crepereia e Sorveteria will be serving drinks all night. 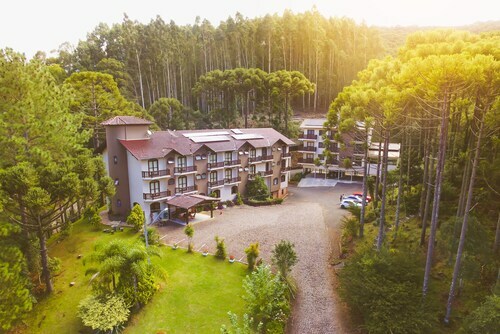 An enchanting wonderland of trees and wildlife awaits your visit to Floresta Virgem, a local forest. Cathedral of Saint Francis of Assisi is an important place of worship for local residents. Kick around a ball and enjoy the green spaces at Jose Rossi Adami Central Park. You might even like to pack a picnic and really make an afternoon of it. How Much is a Hotel Room in Casa do Turista? Hotels in Casa do Turista start at $37 per night. Prices and availability subject to change. Additional terms may apply.